Tea or coffee? The common question, whether you’re at a restaurant or in many social situations, has gotten us thinking at Callyssee. We know how important these drinks are for social situations, and we believe they’re important for cosmetic reasons too. Both of these drinks each have their own nutritional benefits. They both contain some of the same types of nutrients, and have some of the same health benefits. But there’s been a question, for years, about which is healthier for the body, and the skin. There’s not a clear answer. Tea is full of catechins. These are antioxidants that improve circulation and attack free radicals, to limit sun damage and reduce inflammation. Coffee has antioxidants that increase LDL resistance to oxidation, decrease inflammation, increase circulation, and improve the look of collagen. As far as the popularity of the two drinks, the Pew Research Center published a comparison of the popularity of the two drinks, in countries around the world. It includes documentation from The Economist, which shows countries where one drink was more popular than the other. It shows that coffee predominates in the Americas as well as in continental Europe, while tea is the drink of choice in most of Asia and Russia. 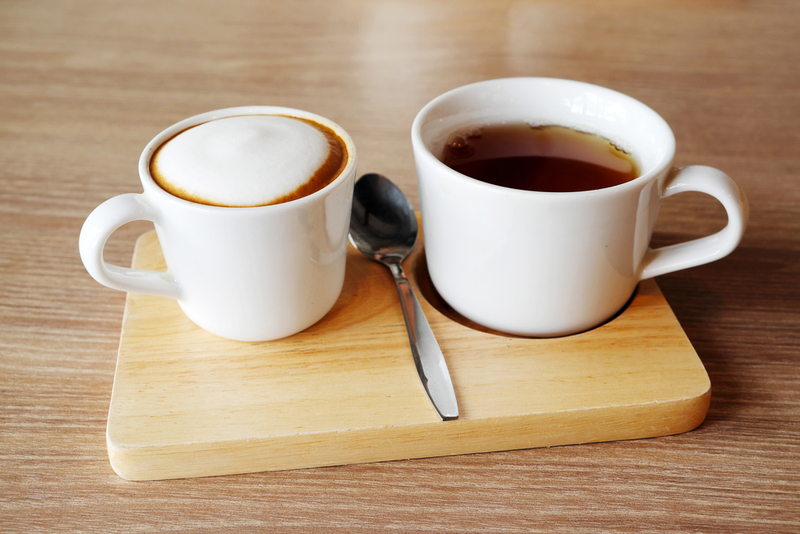 Perhaps the answer is that one isn’t better than the other, but that both tea and coffee have proven health benefits that go far beyond what you see on your face and in the mirror. A 2015 Harvard Study revealed that drinking between three and five cups of coffee a day may reduce the possibility that they’ll die prematurely (kind of a huge deal!). READ: How Can I Recognize A Good Moisturizer? The nutritional compounds in coffee combine with oils to moisturize, aloe vera juice to fight the signs of aging, and ginseng root extract to boost collagen production. We want you to have glowing, radiant skin, and that’s why we developed several lines of caffeine-containing skincare products. Sign up to our mailing to get a discount on your first order! If you enjoyed Tea or Coffee? Which One Is Better For Your Skin? continue with Can You Reverse Time With Coffee? READ: Which Stars Look Stunning without Makeup?